Representatives from the Walmart Foundation presented a check in the amount of $46,875 this morning for the Food Bank of Delaware’s Backpack Program. This donation will enable us to provide 279 children with weekend and holiday meals when school is not in session. 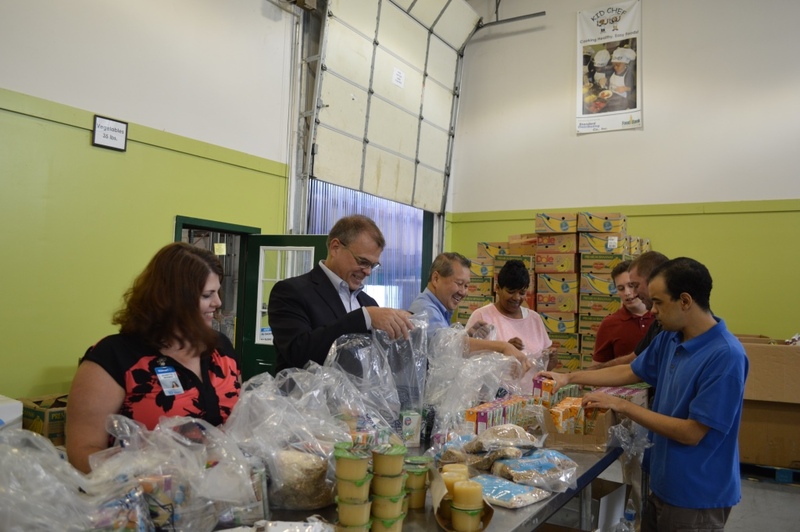 In addition to the financial contribution, Walmart associates, State Representative Ed Osienski and Food Bank of Delaware Board of Directors worked alongside volunteers to pack bags full of food for the weekend meal program. Backpacks are stocked with kid-friendly, nutritious food including shelf-stable milk and juice, meals such as macaroni and cheese, spaghetti and meatballs and beef stew, granola bars, apple sauce, cereal and more. They are distributed on Fridays or the last day before a holiday or vacation in a discreet manner at Delaware school sites. More than 5,000 children participate each week. 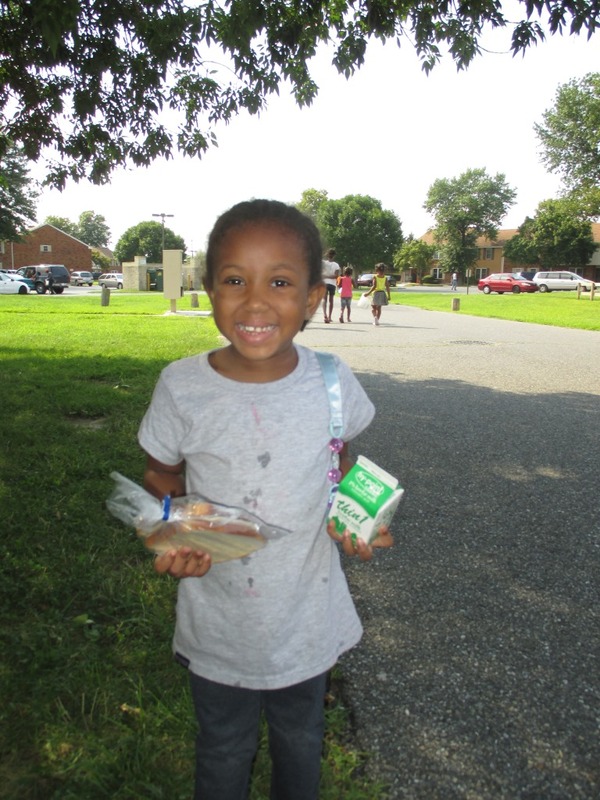 During the 2014-2015 school year, the Food Bank of Delaware distributed 154,886 bags to at-risk children. The cost to sponsor one child for an entire school year is $168. To learn more about sponsoring a child for the Backpack Program, please click here. The peaceful sound of a golf ball clattering against a 9-iron echoed victory across the fairway of Fieldstone Golf Club in Greenville on Monday, September 14. Monday’s skies were crystal clear blue – you couldn’t ask for a better day on the links. Nineteen foursomes set out to enjoy a beautiful day outdoors, testing their skills in 18 holes of golf and a challenging putting contest. Most importantly, funds raised from the day’s outing benefited the Food Bank of Delaware’s Backpack Program. Described by many participants as one of Delaware’s most-exclusive golf outings, each golfer was welcomed by Fieldstone’s courteous staff, and a representative from Calloway Golf was on hand with a special give away for each golfer. Each participant had the opportunity to choose from a putter, driver, duffle bag and one dozen balls or two dozen balls. The golfers were impressed! After quick remarks from the golf pro, the golfers headed out! Some had purchased mulligans in advance, while others bought their way in to participate in a putting contest. Putting contest participants had a chance to win $10,000. In order to win the prize, participants were instructed to make a 10-foot putt, followed by a 30-foot putt, and later on presented with the challenging task of a whopping 50-foot putt. All golfers also had an opportunity to win a brand-new Infinity… if they got a hole in one on the eighth hole! Unfortunately, few made it past the 10-foot put and nobody was able to make the hole in one. This did not put a damper on the mood! To close out the day, participants enjoyed a cocktail hour featuring a sushi bar from Okura in Hockessin, passed hors d’oeuvres, a Grey Goose tasting and an awards ceremony! Food Bank of Delaware Board of Director Andy Larmore and his foursome took home the first-place prize! Thanks to the excitement of all of the golfers, we successfully raised $53,000! These three qualities are not only ideal traits to have for golf, but also in life. Here at the Food Bank, we strive to go above and beyond to achieve these traits. The smiles left behind by the golfers during the event orchestrated the smiles for the children who will receive bags full of weekend food through the Backpack Program. Thanks to their generosity, bellies will be full when access to school meals is not available. To learn more about participating in next year’s tournament, please contact Larry Haas at lhaas@fbd.org. Labor Day weekend is upon us, the unofficial end to the summer season! The summer is always a busy season for the Food Bank of Delaware. Our staff works hard to ensure that children who rely on free and reduced-price meals during the school year have access to free, nutritious meals during the summer months. Thanks to partnerships with ConAgra Foods and Giant Food’s Our Family Foundation, we were able to explore new ways to deliver free meals to children during the summer months. These methods are in addition to the traditional way of distributing meals through the USDA’s Summer Food Service Program! The ConAgra Foundation’s $20,000 donation earlier this spring made it possible for us to pilot a mobile meals program. Monday through Friday, summer meals drivers Lanier Williams and Joe Matthews delivered and helped with meal service at six sites throughout New Castle County. The mobile meal program worked on a simple premise. Lanier and Joe loaded meals and drinks into their refrigerated vans and drove to each site. ConAgra’s generous donation also enabled us to hire park coordinators, Bhumika, Calida and Tony, to not only help Lanier and Joe with meal service, but also organize fun and games for kids living in the communities where meals were served. At each site the drivers set up tables and chairs so the kids could sit and enjoy their meal. Once the meal was served, the drivers headed to the next site to meet another coordinator for the next meal service. In total, 1,715 meals were served through the mobile meal pilot program and three special events were held to build awareness of the free meal program to neighborhood families! Our first awareness event was held at Dickey Park in Newark and we received a special guest visit from former NFL kicker, Sean Landeta, thanks to the Mid-Atlantic Dairy Council! A barbeque lunch was prepared by students from The Culinary School and the Food Bank’s nutrition education team hosted cooking demonstrations and informational sessions! In addition to our ConAgra Summer Mobile Meals Program, we also finished our third year hosting a Grab and Go program sponsored by Giant Food’s Our Family Foundation. 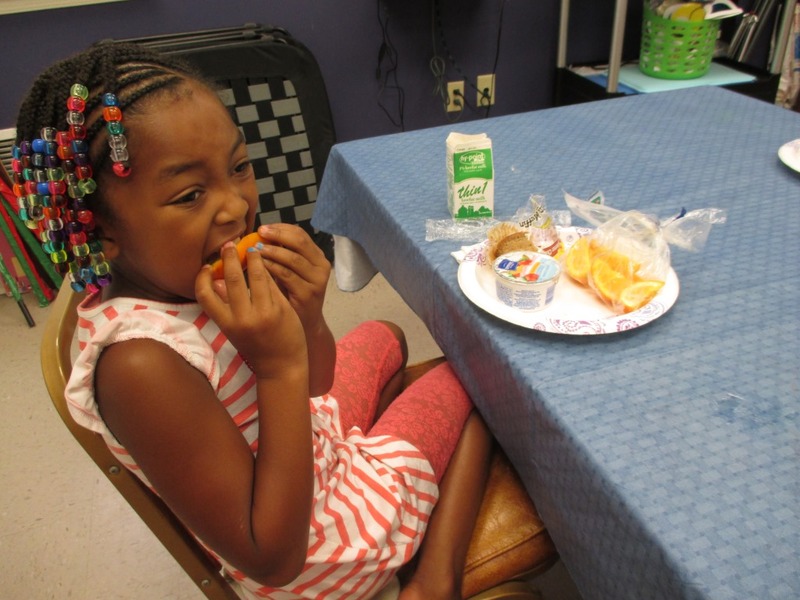 Traditional summer meal programs require children to remain on site while they eat. However, through the Grab and Go program, children visit a designated location in their neighborhood and pick up meals for the day. At the beginning of the summer, each program participant received an insulated bag and ice packs to carry their meals each day. Thanks to partnerships with 11 statewide sites, we were able to distribute 30,404 meals! These meal programs would not have been possible without the support of volunteers. Volunteers helped prepare meals in the kitchen, pack meals in our volunteer room and helped clean coolers upon their return to our warehouses! 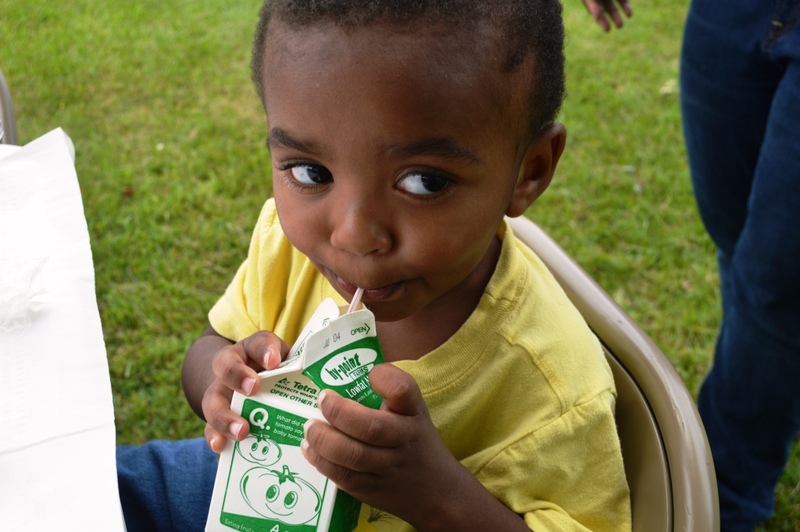 Thanks to all who helped us create a hunger-free summer for Delaware children! Libraries offer more than books: they are community centers. Four libraries in southern Sussex County offered Summer Food Service Programs (SFSP) through the Food Bank of Delaware for the first time this summer. One in New Castle County participated in the program. Meals distributed through the program are kid-friendly and nutritionally balanced. 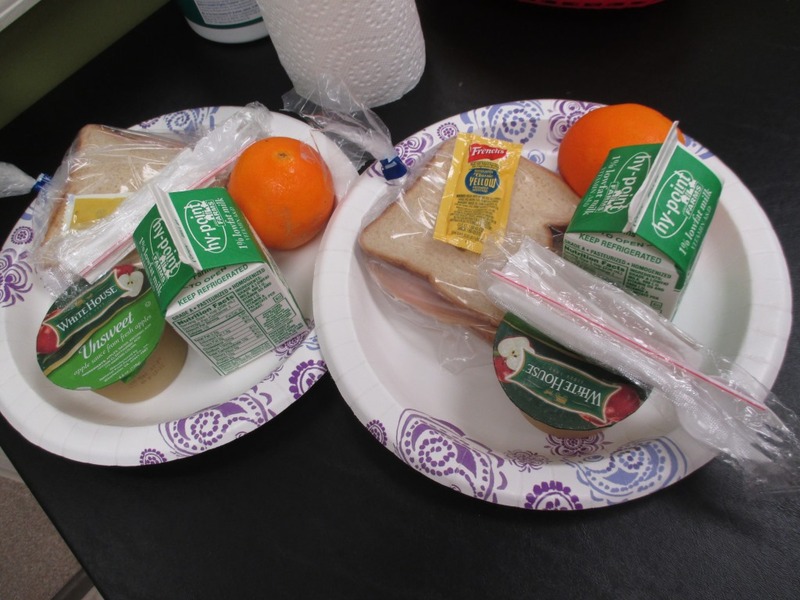 Sussex County libraries in Delmar, Seaford, Frankford and Selbyville opened their doors at lunch time to offer free meals to children up to age 18. While some served lunch five days a week, others were limited by space and volunteer hands to serve the kids once or twice a week. No pre-registration was required, so at most sites neighborhood children simply walked to their local library. Selbyville’s library is housed in a historic home in the heart of town. It’s easily accessible to neighborhood children, so the SFSP has been quite successful. Kids ate lunch in a craft room area adjacent to the children’s library, and then most stuck around to use the computers or play with Legos. “We stack programs around the meals. The kids are walking. Their parents are working, and they may not have air conditioning. Why not have something for them to do?” she said. In Delmar, Jessica Webb, the library director, offered lunches on Monday and Wednesday from a downtown site across from the fire company. Although the building will be renovated and the library officially moved to temporary facilities on U.S. 13, Webb thought the walker-accessible location would better serve the kids’ needs. Like most sites, Webb planned activities to coincide with the meals. After lunch was served, children were offered a story-time followed by an opportunity to play with Legos until 2 p.m.
And while no registration was necessary, Webb and other library directors found attendance was quite unpredictable. Delmar, for example, served 55 children one week and only a handful later in the summer. “The kids really enjoyed it,” she said. Laura Prophet, a children’s librarian at the Seaford Library, shared similar experiences. She, too, planned activities, including movies, around the meals, and she relied on volunteers to help serve children lunch each Monday. The challenge, she admitted, was serving as many as 40 children and as few as three. She too paired the lunches with an activity, an opportunity for free play. Next summer, she may offer a program. “There are so many benefits to this we didn’t expect,” she added. Libraries interested in participating in next year’s Summer Meal Program should contact Tyler Yoder at tyoder@fbd.org. For more information about the Food Bank of Delaware, visit http://www.fbd.org. What do you get when you combine a lively group of volunteers, a healthy lunch, and a neighborhood full of hungry kids? A great summer picnic and a good time for everyone. At least that’s how it seemed on a hot summer afternoon at Burton Village in Rehoboth Beach. Chris Miller-Marcin chairs the Feed the Children program run by volunteers from St. Peter’s Episcopal Church in Lewes and St. Jude’s Catholic Church in Rehoboth. The Food Bank of Delaware provides lunches through the Summer Food Service Program, one that offers free meals to children statewide. 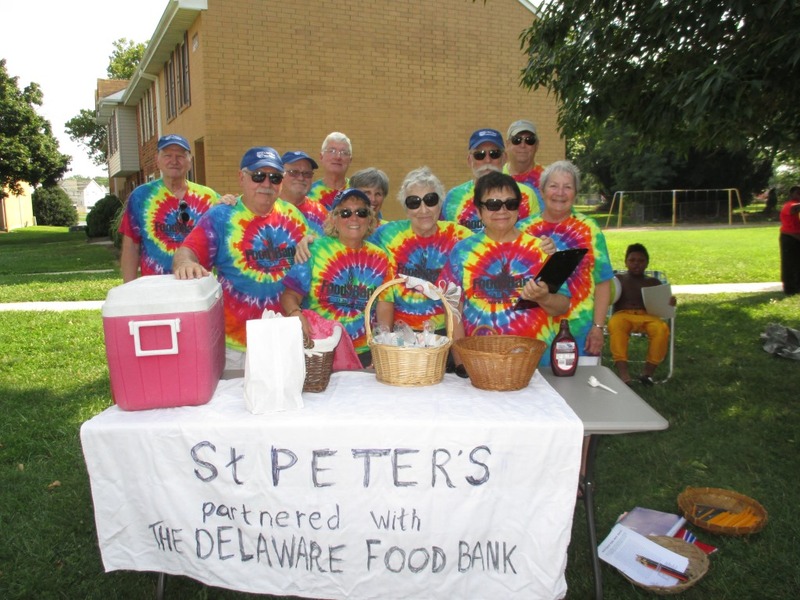 The Food Bank of Delaware prepares and delivers sandwiches or salads, beverages (milk or juice) and usually a fruit to neighborhoods, child-care centers, churches or a site where committed adult volunteers serve the kids. The group of volunteers representing the two churches is extremely committed: they visit three sites in the area, and they bring extra things, such as school supplies and games to play with the kids who come out to enjoy a meal and some camaraderie. Chris is in the middle of a process called discernment; she wants to get accepted into a program to become a deacon in the Episcopal Church. A retired corporate chef and foods service manager, the Milford resident exudes enthusiasm. “It’s my passion. I have a passion for food, and for children,” she said. Most of the kids come with siblings, and quite a few took advantage of a tarp spread under a shade tree to eat their lunch, picnic style. Each of the volunteers had a designated task, including the setting up and packing, and all took time to talk with the kids, to offer them a drink, a notebook for school. “It’s not just about the food,” said Chris. The program, which started at Burton Village in July, continues through mid-August. To date this summer, more than 65,000 meals have been delivered to kids up and down the state. For more information about the Summer Food Service Program at the Food Bank of Delaware, click here. Thanks to a generous grant from the ConAgra Foods Foundation, we are able to offer free meals through mobile meal sites to our community this summer! Lanier Williams, our Mobile Meals Summer Driver, travels from community to community in New Castle County delivering meals to children. In addition to our mobile meal sites, we provide meals to 90+ other sites up and down the state. Lanier begins the day by packing his van with tables, chairs and coolers filled with meals and milk. The coolers are all packed by a dedicated team of volunteers, and all of the meals follow the guidelines for the U.S. Department of Agriculture’s Summer Food Service Program (SFSP). A park coordinator meets Lanier at each stop to help set up tables and chairs and distribute meals to the kids. Last Friday, I stopped by the mobile meal site at Wilton Park in New Castle. Located in a highly residential area where hundreds of kids live, a mobile meal site in the park is a perfect spot. When I arrived, there were already many kids playing in the park, patiently waiting for the mobile meal van’s 1:30 p.m. arrival time. The van pulled up at 1:30 on the dot – right on time! Lanier, and Kirsten, our Children’s Nutrition Coordinator, began unloading the van and setting up tables and chairs in a nice shaded area. As soon as the kids saw the back door of the van open up, they came running! Lanier and Kirsten distributed cups of balsamic chicken, a bread stick, fruit and milk. The kids loved the meal! Once the meals were gobbled up, the kids cleaned up their trash and darted back to the playground and basketball courts. 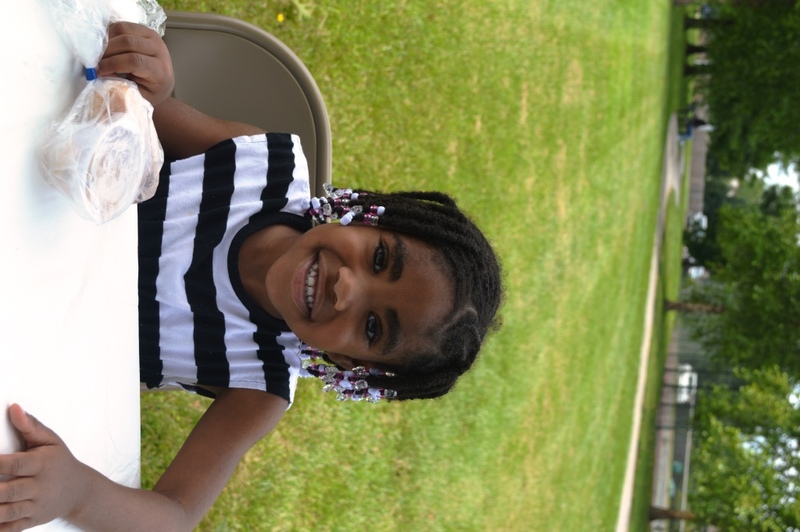 Thanks to ConAgra’s generosity, the kids had full bellies for the rest of the afternoon! More than 15 children enjoyed a free meal at Wilton Park on Friday, and Lanier says the number of kids grows each day as word spreads. To find other meal sites sponsored by the Food Bank of Delaware and other statewide partners, dial 2-1-1, text FOOD to 877-877 or visit http://www.fns.usda.gov/summerfoodrocks. We kicked off our 2015 Summer Food Service Program (SFSP) with a Summer Fun Fair for kids and adults at Newark’s Dickey Park on Friday afternoon! More than 60 children and adults gathered for a free lunch provided by students from The Culinary School at the Food Bank of Delaware, activities, a cooking demo and inspiring words from retired NFL punter Sean Landeta. At the conclusion of the event, adults received a 30-pound meal box from the food bank’s mobile pantry. Special thanks to the team from Bank of America for helping out with the afternoon event! 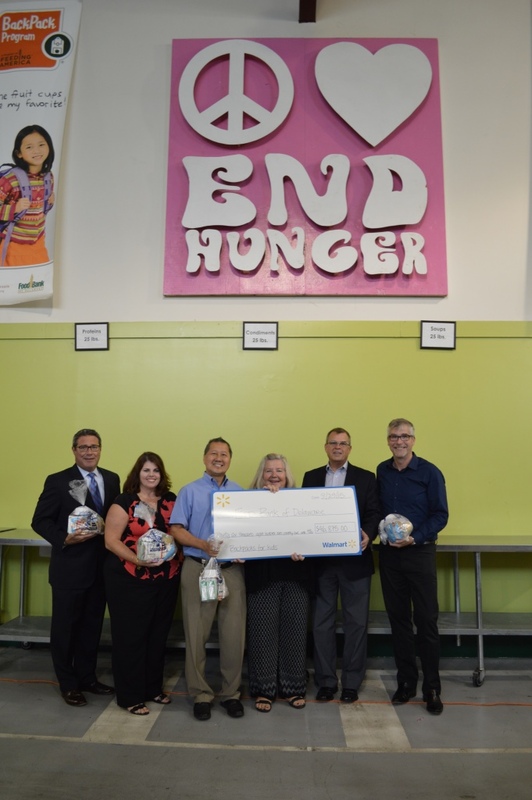 The kickoff event was made possible thanks to a $20,000 Hunger-Free Summer grant from the ConAgra Foods Foundation. In addition, the generous grant will allow us to operate mobile meal sites in New Castle County. A driver will travel from site to site delivering meals, and a Food Bank of Delaware park coordinator will distribute the meals. Children will be able to visit one of three park sites, Dickey Park in Newark (Monday-Friday; 12:00 p.m.), Centennial Park in Bear (Monday-Friday; 12:45 p.m.) and Wilton Park in New Castle (Monday-Friday; 1:30 p.m.), to receive a free nutritious meal. Two additional sites are at the Middletown State Service Center (meals served Tuesday and Thursday; 10:30 a.m. – 11:15 a.m.) and Hudson State Service Center (meals served Monday, Wednesday and Friday; 10:30 a.m. – 11:30 a.m.). State Service Center sites are available to clients’ children visiting the center. The Food Bank of Delaware will provide free meals to 92 other sites throughout the summer. Meals are planned to feature healthy, kid-friendly foods, including cereal and milk, bagels, soy butter and jelly, turkey and cheese, grilled chicken on a whole-wheat roll, yogurt, oranges, nectarines, celery sticks and more. No paperwork is needed for a child to visit a SFSP site. One more Summer Fun Fair is planned for tomorrow at Centennial Park in Bear. Children and teens up to age 18 are eligible to receive free meals. To locate free meals, families can text FOOD to 877-877 or dial 2-1-1. Check out some more photos from the Summer Fun Fair!